Type ‘amygdala’ into Google and you’ll be delivered a sea of articles from neuroscience websites explaining the human anatomy and countless diagrams of the brain. And true to the word's definition of invoking emotions, HubbaBubbas' latest EP Amy(gdala) does just that. Pronounced as ‘uh-mig-duh-luh’, the trio’s debut record features original tracks with the band’s signature a cappella sound from their busker days still intact – frontwoman Steph takes the lead on vocals, harmonising with Meryvn’s sophisticated beatboxing, while Ryan backs the team up on strings. 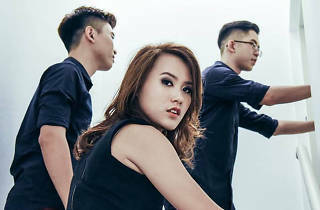 Quirky indie-pop ditties bookend the five-track EP, including the infectious feel-good electro-pop tune ‘Dancing on the World’, which was composed for the 28th South-East Asian Games in Singapore last year. 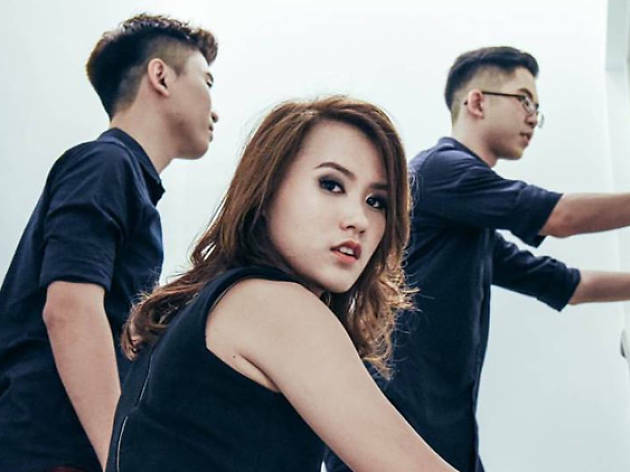 To celebrate the launch of Amy(gdala), the three-piece will be performing at Aliwal Arts Centre on August 12. And joining them on stage for a special one-night-only arrangement are bassist Tim De Cotta and keyboardist Audrey Tengkey, with other homegrown artists such as JAWN and Jaime Wong opening the show. While you wait for the record to be released, watch their video for ‘Address’, the latest single off their new EP. HubbaBubbas is at Aliwal Arts Centre on Aug 12. ‘Amy(gdala)’ is available for pre-order on iTunes.